A very long overdue thank you for the wonderful trip to Paris that you and Adam planned. Everything was perfect from the moment Stefan picked us up at the airport in the beautiful sedan that your company uses. 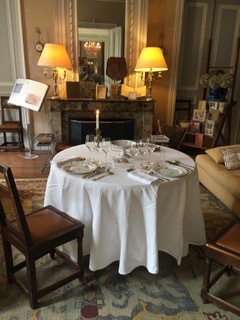 Relais Christine was beautiful and just right for us. Besides being such a pretty hotel with a delicious breakfast each day, the staff were warm, helpful and friendly. And we loved the neighborhood. It was close to everything that we wanted to see and it was fun to explore the streets. The tour guides that you matched us with were great as well. And I don't know if you heard, but Celia, our guide for Versailles, was also celebrating her birthday the very same day as me! All the guides were knowledgeable and engaging. And the restaurants! Fantastic choices! 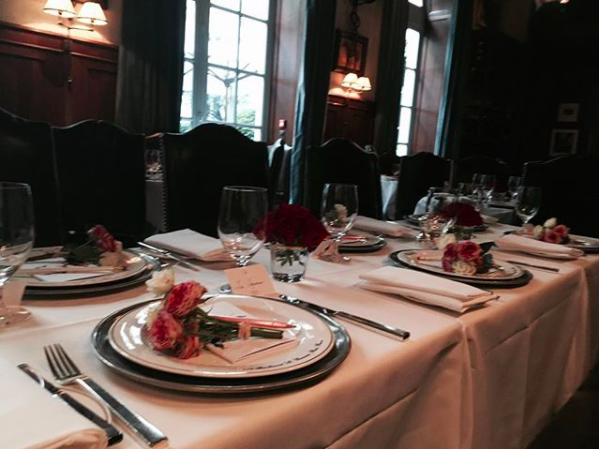 Each one was an experience to remember, especially the grand finale, Alain Ducasse! You created a beautiful memorable visit, and I also appreciate the itinerary provided for us. That will be a keepsake of mine to remember this fantastic visit to Paris. 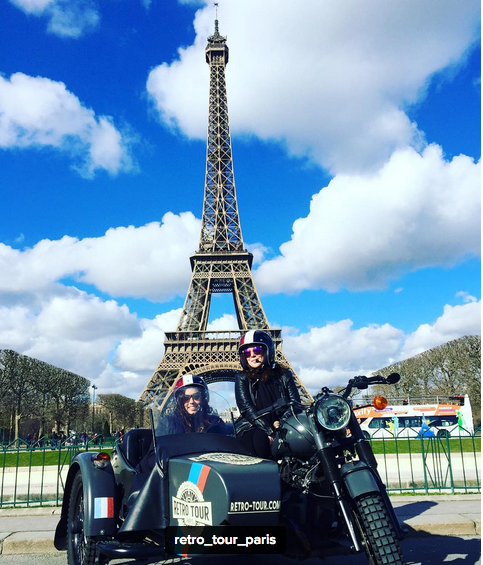 My husband and I tried bespoke travel in the winter of 2018 for comfort and convenience but also to have an extraordinary trip as much as we can have it in 6 days in Paris. Sacrebleu!, but it was a great success due entirely to Stephanie and her team, to wit: simply from our expressed desires (profound surveillance of historical sites, high-end dining, circumvention of hazards) Stephanie structured an itinerary that added unique places that could not have been known or accessed on our own (Le Gabriel was exceptionally exclusive), arranging private tours that imparted core knowledge, sure, but also deep stories and extra details (Notre Dame/Sacre Couer/MontMartre) as well as secret interiors (Versailles) that perfected our foray into such sites which visits cannot otherwise be easily repeated. And her people were fun, distinct local personalities who were extra-hospitable – drivers and tour guides who went out of their way when not expected, erudite in their knowhow yet casually-mannered, all of whom boosted our experience of Paris as they weaved into our conversations surprising anecdotes, even humorous travails about Paris and its local customs and ways. So rich! (As you look on at the beauty that Paris truly is.) Not least and quite unexpectedly, Stephanie is a giving, young entrepreneur with a sundry of contacts in Paris as she arranged for our booked tickets and an amazing basket of gifts, flowers even to be already present in our room upon arrival! While there are templates that many companies in Europe follow for private tours that seem ordinary now in comparison, we highly recommend Sacrebleu-Paris for your next visit. In retrospect, as first-time visitors we could have gotten repeatedly lost many times over but this will not happen to you if Sacreblue-Paris has your back; your well-being is in their hands (especially as you have access to a local cell phone as well as assistance 12 hours a day during your stay). 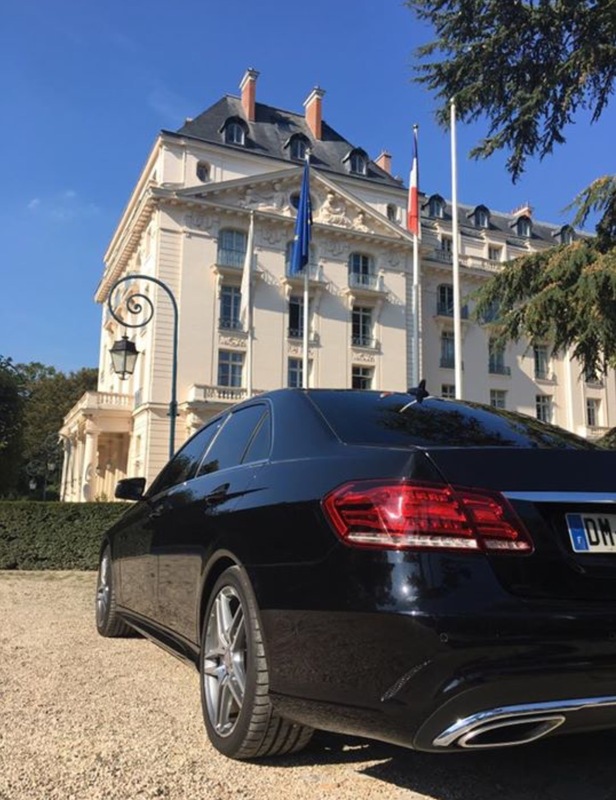 So do not hesitate to use this bespoke company for your first or next journey to this wonderful, well-visited City of Lights that is none other than the City of Paris! We absolutely loved our tours (...) You are the best! thank you for a wonderful and memorable time. We hope to work with you in the future! My first day back at work and I want to let you know just how wonderful you were. At all times, you were the anchor I could depend upon. I did not fully understand just how incredibly helpful you would be (I had an idea) but you and your drivers made the trip stress-free. I have already recommended you to clients and friends who are thinking of visiting Paris and will do so in the future. For those Americans who may question the advisability of hiring a travel concierge I advise, DO IT without hesitation. 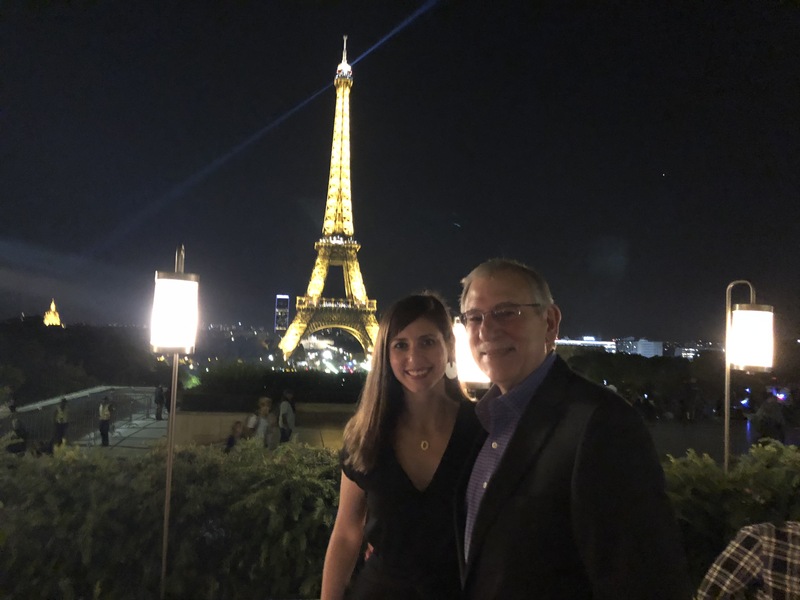 My husband and I cannot say enough about our experience in Paris, and working with Sacrebleu in the planning and execution of what we now call our “trip of a lifetime”. We spent five days experiencing the very best that Paris has to offer. Kevin and I enjoyed a world class hotel, coveted reservations in the city’s most highly regarded restaurants, a private driver who was always ready to get us to where we needed to be (and with exceptional personal attention), and private tour guides who shared their immense knowledge of the ancient sights that make Paris, Versailles and Reims such special places. Paris is magic. Sacrebleu makes it sparkle! Stephanie offers an extraordinary and responsive service. She helped us with a custom family friendly itinerary with a few days notice. The tour guides she selected did a wonderful job accomodating our family of six - no small feat for children ages 2,4, 8 and 10. Everything has been amazing! (...) You have done a fabulous job for us! Thank you for pulling that together! A wonderful trip we will never forget! Everything was great on our trip (to Bordeaux) . The hotel room at the Chateau was excellent. I would definitely stay there again. Thank You for planning this amazing trip for us!! Stephanie...the entire trip and experience was amazing. You provide a wonderful service to your clients and thank you for all you did to make our trip to Paris so memorable! I was going on a work trip to Paris and my wife had not been there yet so we decided to make a real vacation of it for us. I had heard of the benefits of having a private guide from a friend who had toured Paris with his family recently so I started looking online. After going to a few sites we found Sacrebleu and we thought that they would be great for us - and we were so right. We initiated contact through the website and soon after we were on the phone with Stephanie and had a wonderful conversation. Stephanie emailed us a rough itinerary which we discussed with her and modified a few times before we finalized it. We arrived in Paris and was met by the driver she regularly uses. He was great - friendly, helpful, would always take us through routes that would let us see new things, and the vehicle was extremely luxurious, comfortable, and had two sun roofs so we could better see the sights. We arrived at our hotel, which was one of the hotels that Stephanie had suggested, and she had gotten us an upgrade on our room. The hotel was gorgeous, the room was fantastic, and the staff was superb - I speak enough French to get around but they were always happy to speak English to both me and my wife. 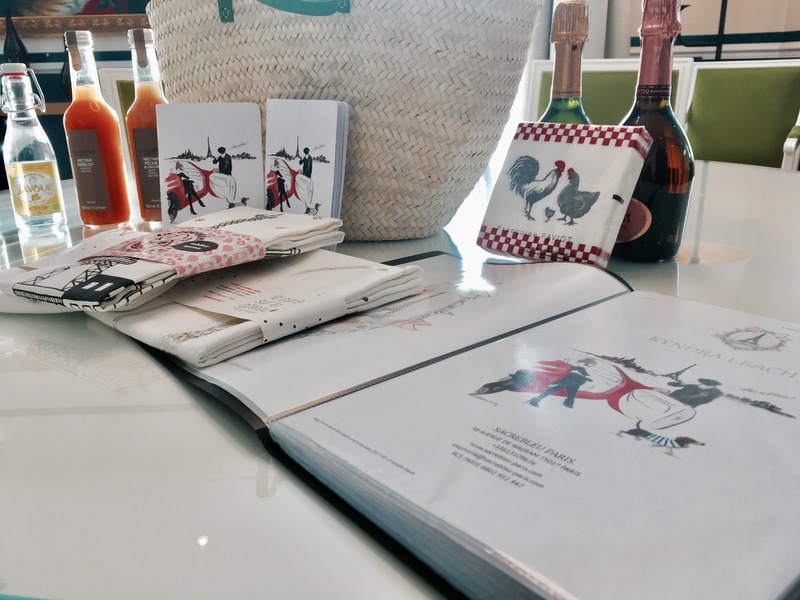 In our room, there was a welcome box from Sacrebleu with a few necessities for vacationing as well as a cell phone that we were able to use throughout the trip. Throughout our vacation Stephanie hooked us up with fantastic and knowledgeable guides at each of our locations and they all got us past the very long lines at each (Notre Dame, Versailles, etc.). 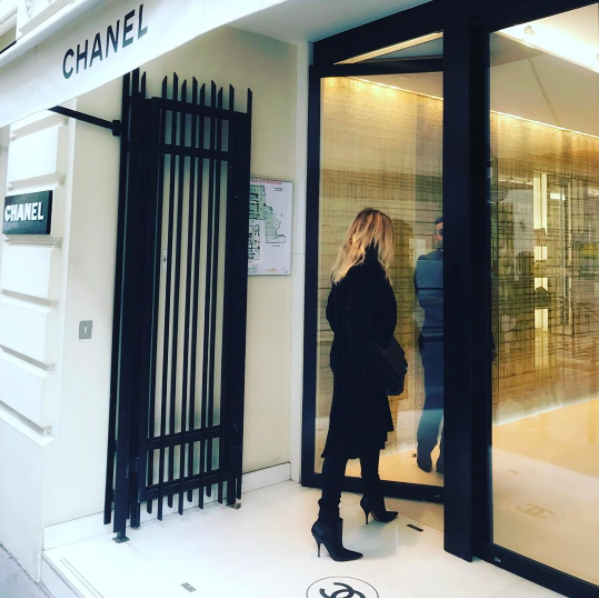 She took my wife shopping at the fantastic shops of Paris (Hermes, Chanel, etc.) and joined us for many of the excursions to always make sure we were well taken care of - and it was always a pleasure to have her with us - she has a wonderful attitude, is very warm, and very empathetic to the needs of her clients. She was also always happy to give us time to ourselves. Stephanie got us to the best lunch and dinner locations each day - and each experience was unique and delicious. Finally, upon checking out, our driver was right there to take us to the airport, wish us well, and put a great end cap on a fantastic vacation. I have been to Paris twice before but this was the best trip to Paris I have had. I cannot recommend Sacrebleu highly enough for a unique, bespoke, friendly, and comfortable visit to Paris. I am writing to review my experience with Stephanie and her company Sacrebleu Paris. This October 2016 was our first trip to Paris. We had a short stay in mind and lots of ideas about what we wanted to do. I found Stephanie and her company via a google search for personal concierge and contacting her was the best thing we did. Our experience with Stephanie from the first email all the way through to the last day of our trip was outstanding. 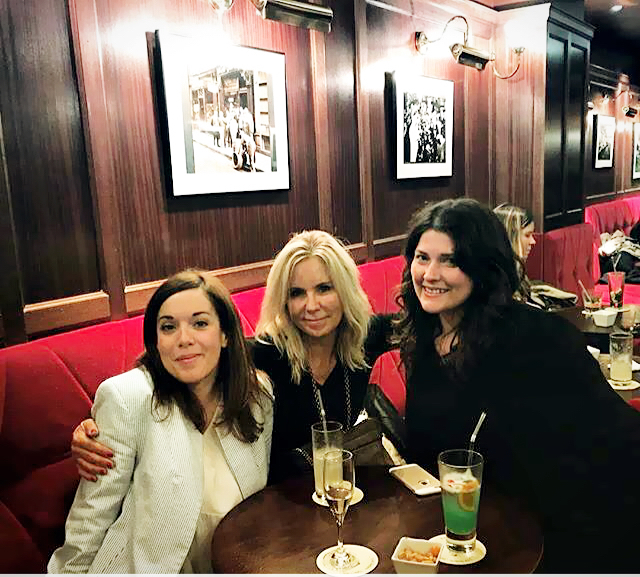 Stephanie raises the bar with her company and I know for a fact our trip to Paris would not have been as amazing if it were not for her help in creating our itinerary. 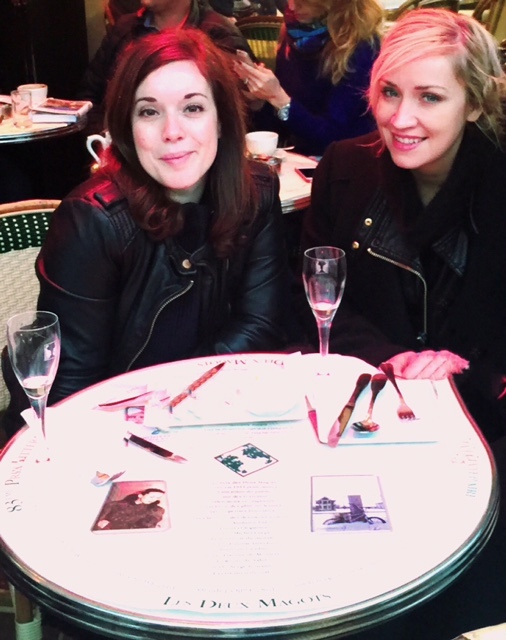 Each of the four full days we spent in Paris was remarkable and everything went off without a hitch. We truly had an incredibly rich experience during our time there. 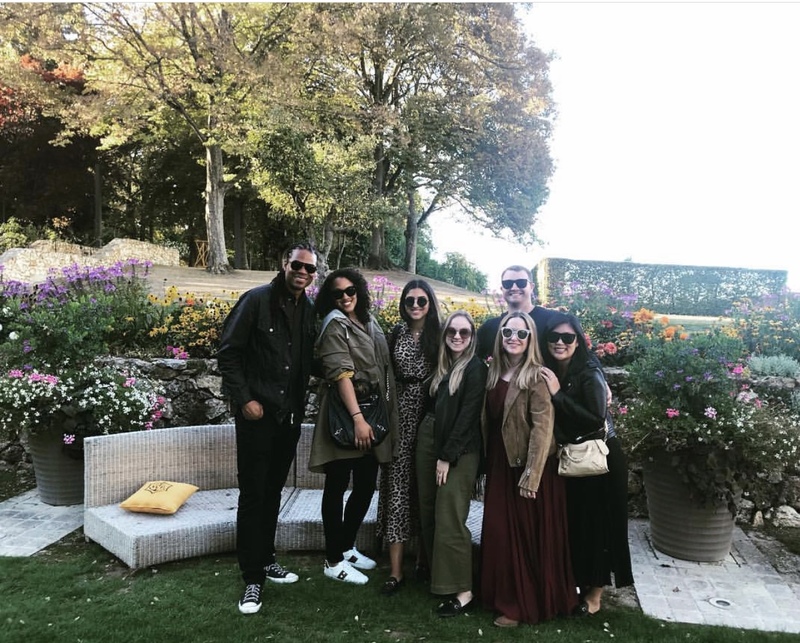 We visited Versailles, the Louvre and Notre Dame, all with the private tour guides she recommended, and it was wonderful. We took a fabulous cooking class at the Ritz. Stephanie made all of our restaurant reservations and made recommendations for places we did not even know about. I would be leaving out a big part of this commentary if I did not mention the incredible driver (Eric) Stephanie arranged for us who picked us up and dropped us off at the airport, took us to Versailles for the day and picked us up at various points during our stay. He was a big part of our trip and was so kind. We are definitely going back to Paris and we will absolutely be using Stephanie again. We only wish her company was in all of Europe so that we could use her when we travel to Italy and Greece. I cannot recommend Stephanie and her company enough! We thank her for her professional attention to detail and truly caring about our experience. Longue vie à Sacrebleu Paris! 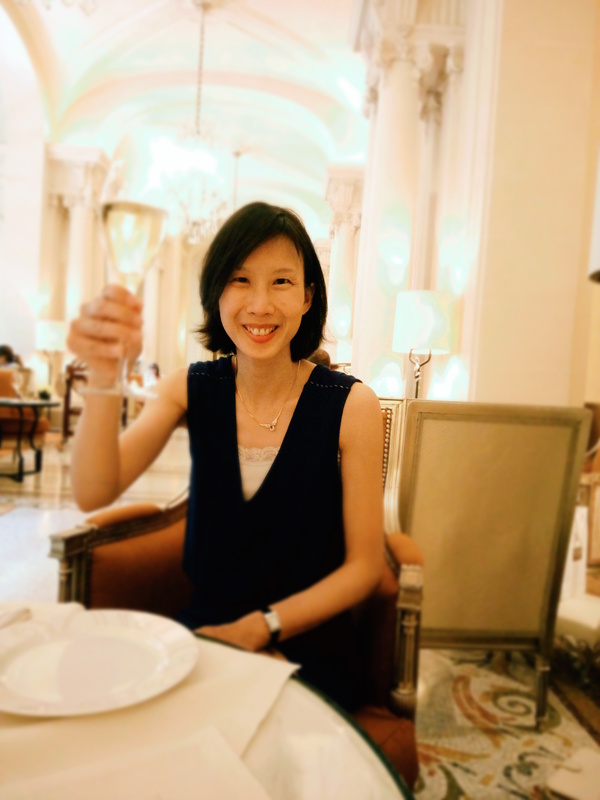 I enjoyed such a memorable experience at Plaza Athénée tea time : relaxing with live harp music, delicious with countless gourmet french pastries, excellent service and cherry on the cake, several sparkles with Alain Ducasse glass of Champagne! Sacrebleu Paris definitely knows how to pamper its customers with the most refined Parisian touch! Today was perfect from start to finish. Thank you for making it all happen, Stephanie. It was a truly memorable day for each of us! This has been my FAVORITE trip to Paris! You are wonderful...and can't wait to do this again! Thank you for being So accomodating! We wanted to thank you so much for your assistance during our wonderful time in Paris. See you next year! Journee incroyable riding around Paris and exploring les Batignolles. Thank you Sacrebleu Paris! We had a blast thanks to Sacrebleu and its team. We can't wait to see you next year! Dear Sacrebleu, Let me count the ways you were so helpful, and made our visit fun and relaxing. Every day and night, we counted on you, and you always went above and beyond. We are so very grateful.